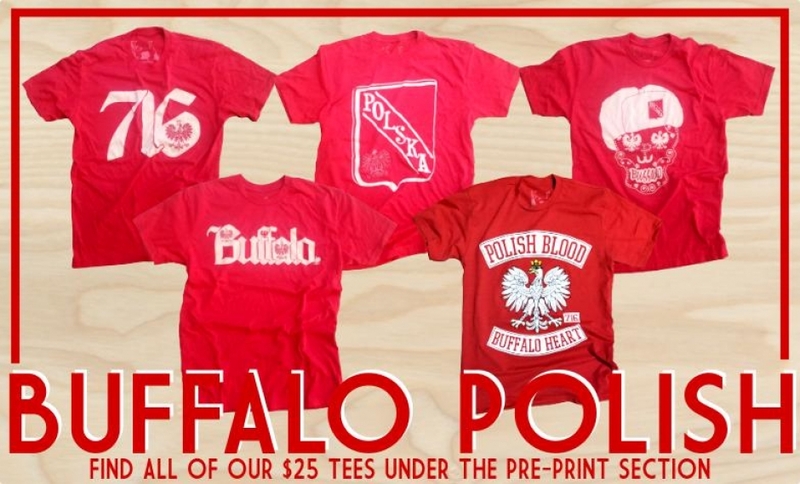 WE CARRY OVER 125 BUFFALO THEMED DESIGNS AND ALLOW YOU TO CHOOSE THE COLOR AND THE STYLE APPAREL THAT DESIGN GOES ON. CLICK THE SHOP TAB OR STOP IN AND START CREATING. *CUSTOM DESIGN WANTED? SIMPLY EMAIL US YOUR IDEA AND WE'LL DRAW IT UP FREE OF CHARGE. IF IT'S WHAT YOU ENVISIONED, WE PRINT IT THE SAME DAY. *BULK OR WHOLESALE ORDERS NEEDED? WE JUST OPENED A NEW PRODUCTION FACILITY SO WE HAVE YOU COVERED. EMAIL US FOR PRICING.